Our firm body butter hydrates and nourishes the skin with its blend of cocoa butter, mango butter & shea butter. Containing skin firming elements & scented with the faint aroma of citrus oils and a beautfiul sweet mango fragrance, this body butter is simply divine. Your skin will be thoroughly moisturised and soft. 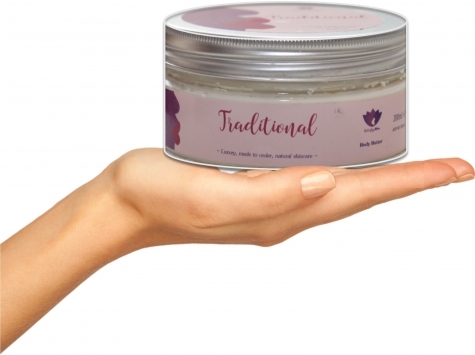 Our sweet smelling traditional body butter is the perfect addition to any skincare routine. This firm body butter hydrates and nourishes the skin with its blend of cocoa butter, mango butter & shea butter. Containing skin firming elements & scented with the faint aroma of citrus oils and a beautfiul sweet mango fragrance, this body butter is simply divine. Your skin will be thoroughly moisturised and soft.